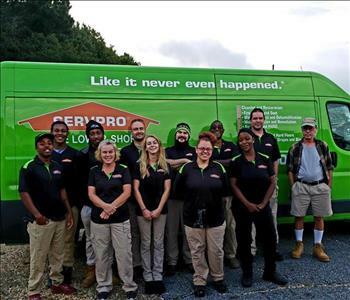 Jeff is one of our Production Managers and has been a valued member of our SERVPRO team since Sept. of 2011. 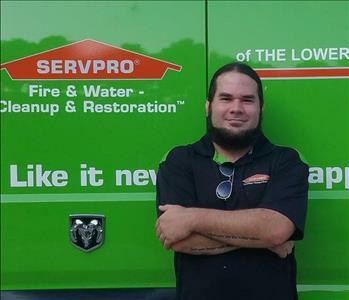 Since 2011 Jeff has excelled in the SERVPRO industry, aquired countless certifications, including: all SERVPRO required employee certifications and IICRC certifications in Water Restoration, Fire Restoration and Odor Control and has remained a constant representation of what a great team member should be. When Jeff is not using his knowledge and skills here at SERVPRO, he is spending time with his girlfriend of 3 years, Ashley. Together they have 2 cats and a dog. Jeff enjoys listening to music, going to concerts and watching movies. Mark has completed our rigorous SERVPRO Employee Certification Training Program. This program teaches advanced cleaning and restoration techniques and how to properly use our state-of-the-art equipment. This training program also focuses on listening skills and customer service. Mark has a strong worth ethic and is known around our office for his attention to detail. This is the 2019 production crew that make your property look "Like it never even happened."